Evening Class submitted a selection of work (horror) stories that were compiled for a recent event organised as part of Antiuniversity, on the theme of creative labour. The full collection can be read, and added to, here. 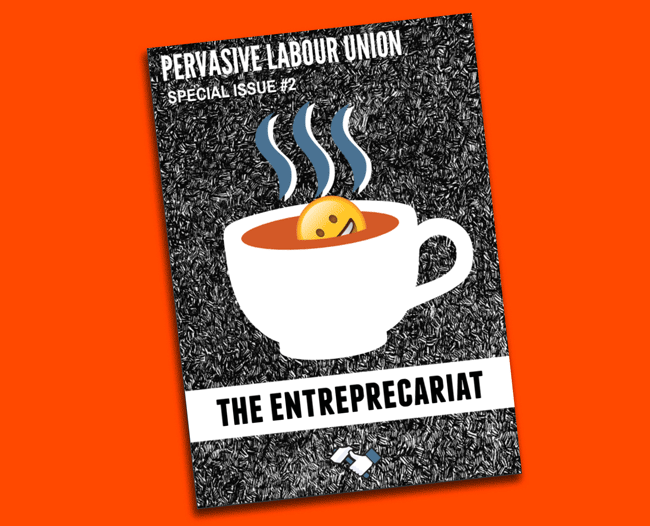 A PDF of The Entreprecariat can be read here. The Immaterial Labour Union is a decentralised labour union which occupies the space of the "social factory": Facebook, Google, Twitter, Instagram, etc, where we're being stripped off of our data for the profit of a privileged few.